Hey all and happy Monday! Hope everyone had such a fabulous weekend and enjoyed the shorter week last week! I feel like this year is just flying by… seriously! It has been consistently warmer in Chicago recently, and we had some crazy hot days here recently. Banana Republic had a sale recently (they always have sales haha) and I took full advantage and grabbed some newer pieces for spring and summer! 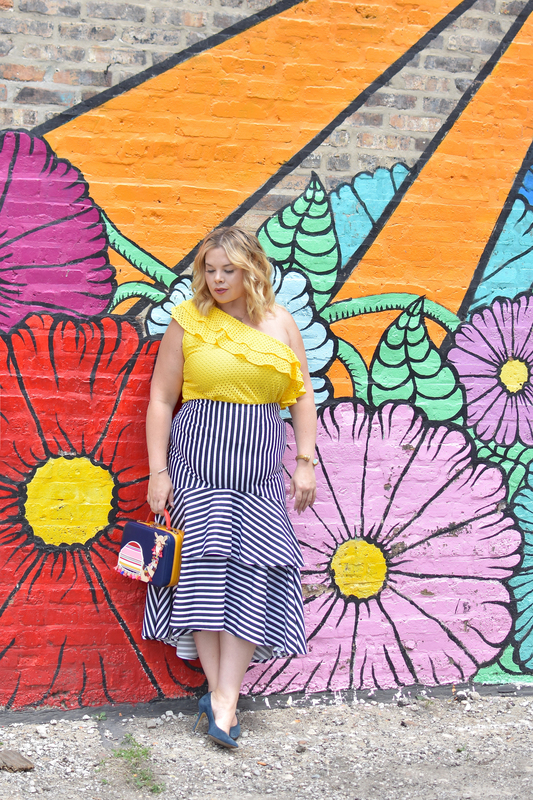 This top first caught my eye in the yellow, but I did end up ordering it in cream as well! I feel like when I really love a piece and it fits well, I buy as many colors as possible. I knew I wanted to wear this top with something a bit out of the ordinary. I didn’t want to do a simple white skirt or a pair of jeans. So, when I was shopping, I was looking for some colors and prints that would contrast, but not clash. I saw a bunch of navy pieces online and grabbed a few different options. I liked the look of this skirt the best, especially with the added drama of the ruffle at the bottom. 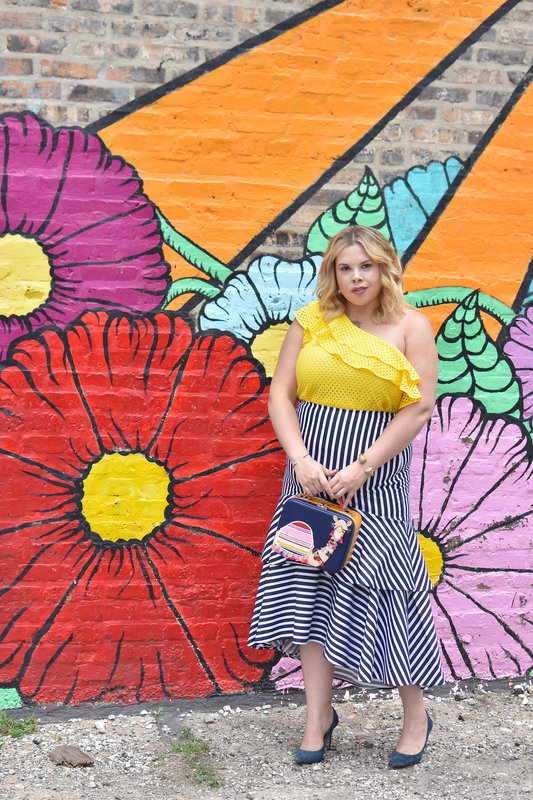 I love mixing colors like navy and yellow, especially in spring when the colors pop so much more. 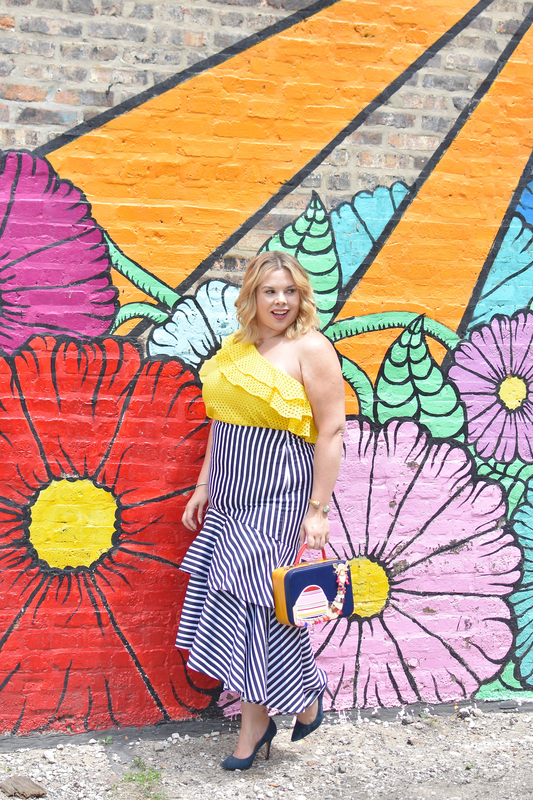 Obviously I had to pull out this bag, since it matched the outfit perfectly! Have a wonderful Monday and week ahead! Love this combo! Yellow and stripes are my fav!! You look amazing! I am loving this outfit!! 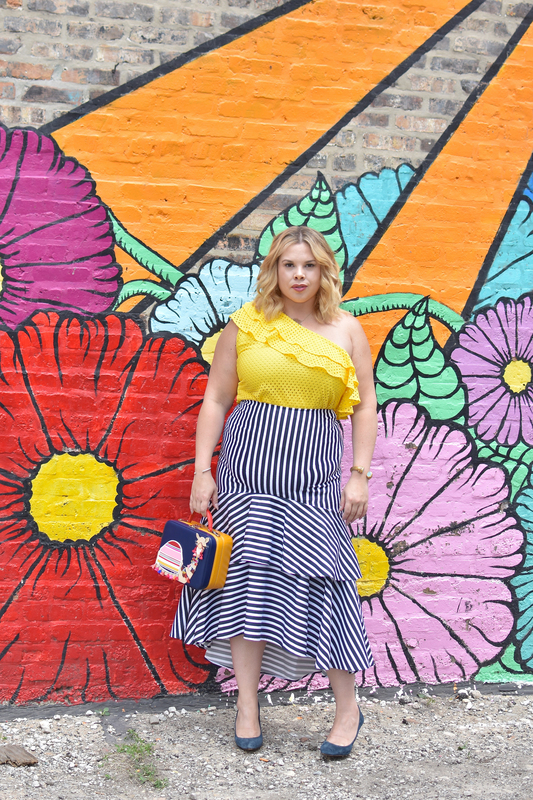 Love this color combo, and the stripes! So cute! I am loving this outfit. it looks good you. The wall is also so beautiful! Great pics! Ok I’m obsessed with your little llama bag. How precious is that?!!? I love this color combo, too. 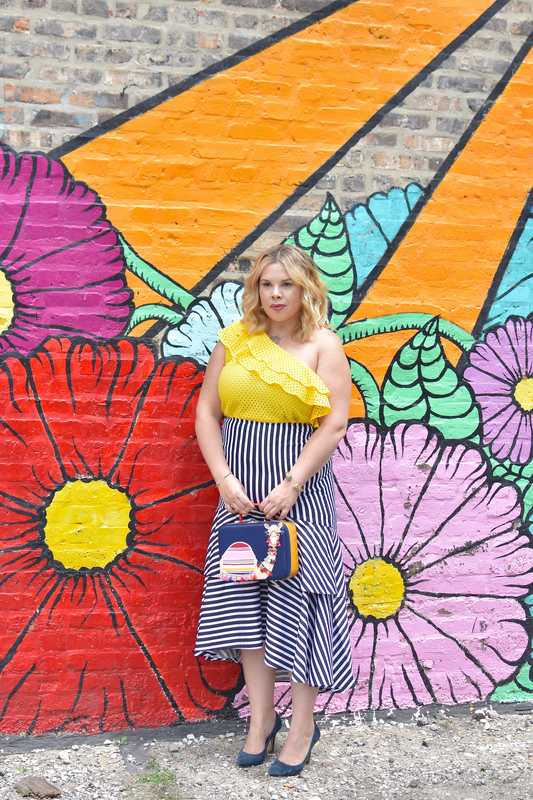 Yellow is the perfect compliment to navy stripes! So pretty, love this look! I really love the way you styled this look!! That yellow top is amazing.